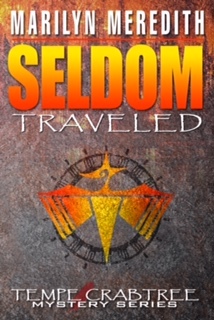 Larry and Carolyn are Texas authors who have teamed up as authors for the first time to write Dishonored and Forgotten. Larry has a BA in Labor Studies and is a graduate of the renowned Harvard University Trade Union Program whose mission is to help union leaders develop problem solving skills as well as discover ways to deepen public understanding of the value and importance of labor. Larry’s career in law enforcement began in Houston, Texas, as a police officer. He became active in police labor issues and served on the board of directors of the Houston Police Officers’ Association and the National Association of Police Associations. He retired after 21 years and began working for a state-wide association representing law enforcement officers throughout Texas, eventually becoming the chief of staff. After 20 years, he again retired, and began his first fiction novel, The Missing Piece about an Austin police officer involved in shooting a black citizen. Within a year, Watts was asked to assist the City of Austin develop a labor relations department. Publication of that novel was postponed for two years while he fulfilled the interesting challenge. He has now published five works of fiction and a book of short-stories. His experiences are fodder for and add depth to his writing. Carolyn worked for Continental Airlines for 16 years. She was a flight attendant scheduler early in that career and worked in Continental’s Public Relations Department before returning to school to attain a BS in Psychology and an MS in School Psychology. Her professional career has spanned positions in education, a non-profit counseling center and shelter for victims of domestic violence, and a private practice that enabled her to fulfill her desire to work with couples and their children. Carolyn has advocated for children, parents and families for over 20 years as a counselor and specialist in school psychology. She is certified in marriage and family relationship therapies and in advanced therapies for treating trauma, loss and PTSD. Her training in working with trauma was valuable in 2011 when she volunteered to counsel victims and first responders during devastating wildfires in Texas. Dishonored and Forgotten is Carolyn’s first venture into historical fiction writing. She has previously written six read-play- learn-together books for therapists and parents to use while working with children. She presents workshops to mental health providers and parents. Larry and Carolyn live on the Texas Gulf Coast where they spend their time writing, enjoying family and attempting to capture all that life has to offer. I grew up in a small Oklahoma town where everyone was on a first name basis. After coming to Houston I became a police officer. That was followed by a career in labor relations and I continue to consult with city and county government on public safety issues. I have written articles for trade publications most of my adult life and published my first novel in 2011. Since then I have written five more novels and a book of short stories. Most of my childhood and youth were in Beaumont, an industrial city on the Texas Gulf Coast. Summer vacations always involved car trips to visit my dad’s family in a quaint Georgia town. As the first child of a WWII marriage between two people from different religions and backgrounds, I learned to observe, analyze, adapt and appreciate differences early. Mother read daily to my sister and me, contributing to our passion for books. A school task incited my childhood love of writing. (My first story was about a female heroine with traits not unlike those of Paul Bunyan.) When I entered high school, Mom advised that learning typing, editing and shorthand skills could help throughout life. These life experiences have served as valuable assets during my business, psychology and writing pursuits. I have published five books. My Keys to Parenting Magic series of five read-play-learn-together books for children, parents, teachers and counselors enhance family bonds while educating children and adults about what children need and should be able to expect from parents. My Powerful Super Hero T-Cells is a read-and-learn-together book about guided imagery for children during illness. I love living on Texas’ Gulf Coast. We’re close to Houston, so we enjoy the pleasures of big city life, but can also be in remote, unpopulated beaches or the hustle and bustle of Galveston’s tourist population in literally minutes of leaving home. It doesn’t hurt that my best cheerleader and co-author on my most recent book enjoys this life with me. I need a home base, and prefer to live near water, with access to urban benefits. I also enjoy being able to visit our children and feeling that I’m a part of their lives. So Texas is a good place for us. Our coastal home feels like a haven. We have discussed spending more time in distant places we enjoy and possibly let them serve as the location of another mutual novel. So some extended travel may be in our future. I try to write reviews for the books I read. As a writer myself, I know how important that feedback is to an author. My goal is to be objective in my reviews, pointing out what I think is outstanding about the book, but also describing shortcomings I see in the writing. I’ve only had one author become offended by my reviews, when I criticized the poor editing in his book. I’m convinced we should use critical reviews to improve our work. Sporadically. I enjoy reading, but book reviews have never been one of my strengths. I tend to put more thought than is necessary in such tasks. I knew when I published my first book that the marketing was up to me. What I didn’t know was what type of marketing or promotion would work best for my work. The first attempts were attending book fairs and book signings. With one notable exception, these forums were total failures for me. I became very frustrated with sitting for hours and selling one or two books. Of course, since then I have refined my efforts and spend more time promoting with social media and making presentations to groups interested in my genre. Most of my marketing has been presentations at mental health professional workshops. It is wonderful to have good feedback and reviews from colleagues. The largest gathering I’ve presented to was the Texas School Counselors’ Annual Conference in 2016. I always encourage a lot of audience participation; to have that large an audience display interest and excitement was very rewarding. That’s a difficult question. I write crime, social justice and mystery fiction. I think adding the social justice aspect to crime and mystery stories adds a dimension not often emphasized in such books. Helping readers relate to our characters by gaining insightful understanding of those characters’ behaviors and personalities is important. I like to utilize strategies that I learned from administering and writing professional psychological and/or counseling evaluations. My efforts often involve researching events of a timeframe consisting approximately of three generations. That enables me to analyze and develop probable reactions to particular situations. That one’s easy for me. GET BUSY! I am involved in some writers groups and one of the things I often see are writers who agonize for years on getting a story ‘just right’ and as a result never reach the point of publication. One of the great things about publishing today with print on demand is that minor changes can be made, even after initial publication. I think some of these writers are just reluctant to put their work out to the public, maybe because of the fear of criticism. Larry is my mentor as well a husband. So I have a personal coach and consultant at all times. He even reminds me to stop working when I am tired. I try to reserve mornings (my best concentration time) for writing. I make written notes of any ideas I may have at other times. Sometimes I apply for conference or workshop presentations a year in advance, which creates a timeline for me to meet. I attend writers’ and marketing workshops as well. We also dedicate some evenings at home to read the works of other authors. I use social media to promote my work. As a result, I can track sales to some degree based on each promotion. Once I became semi-proficient at the various social media platforms, my e-book sales have outpaced printed copies by more than 5 to 1. My second most effective tool has been making personal presentations, usually at local libraries. Interestingly, though sometimes these forums are attended by as few as 8 to 10, the ‘buy’ rate is usually 80 to 90% of attendees. Professional workshops have been my most effective tool. 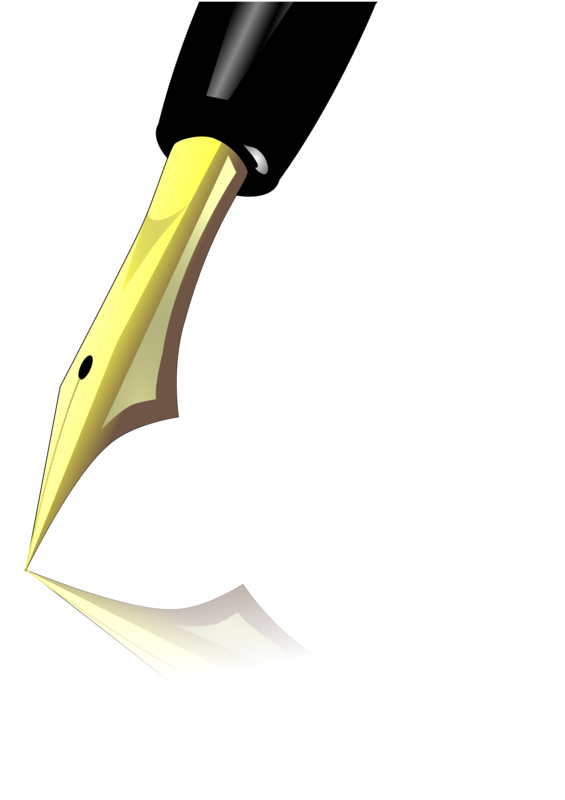 Like most writers, I would prefer to spend my time writing. The time needed to market my work on social media can be overwhelming. With that said, every time I see sales after a promotion, I decide it’s worth it. I don’t understand social media as well as I should. Also, I need to be faithful to blogging on my website. Cormac McCarthy is one of my favorite authors and his book The Crossing comes to mind. But I also love biographies of political leaders, including Truman by David McCullough and the Robert Cairo series on Lyndon Johnson. Historical fiction; social justice; psychology nonfiction. Two come to mind, although both have had books out for a while. One is Tom Rizzo, who writes western fiction. His book, Last Stand at Bitter Creek, is a favorite. Attica Locke, Black Water Rising, is also someone whose work I follow. Well, these days it’s in my smart phone instead of on the night stand, but I am currently reading James Lee Burke’s Lay Down My Sword and Shield. I enjoyed the cop books by Joseph Wambaugh during the 1970’s. Because he, too, was a cop, his writing inspired me to believe I could write books that readers might enjoy. Each of the following books addresses the relationship between biology and behaviors and are some of the inspirations for my professional books: Getting the Love you Want, Harville Hendrix, Ph.D.; The Science of Parenting, Margot Sunderland; Change Your Brain, Change Your Life, Daniel G. Amen, M. D.
Usually I complete a book a month, sometimes two. I usually finish one each month. I may read a couple at the same time: one for research and one for pure pleasure. I’m not sure there is a book that everyone should read. Our population is too diverse. But I do think Thomas Frank’s book The Wrecking Crew is worth the time for readers who are interested in government and politics. I just think everyone should read something of interest to them. Browse a library or book store, being open for the book that captures your attention. Take time to read it. More importantly, parents, read to your child(ren), if only 15 minutes a day. Too many good ones to pick a single book. The next one, might be the best answer. Right now, that’s my own, Dishonored and Forgotten, which will be available in January. I agree with Larry. It’s an honor to have participated in writing this book with him. Most of the characters and events are real. I find Dishonored and Forgotten to be a fascinating, haunting novel. I’m not sure about the importance, but I am always flattered when a reader contacts me. I will always respond to their message and I try to read all the reviews. I find readers’ critique and comments to be helpful and motivating. Facebook, but just because I am more familiar with how to use it to promote my work. I use Twitter and just need to concentrate on becoming more proficient with it. I have no experience on Twitter. That’s on my to-do list. My website is www.LarryWatts.net, but I am also on Facebook, Twitter, Google Plus, Linkedin, and Pinterest. 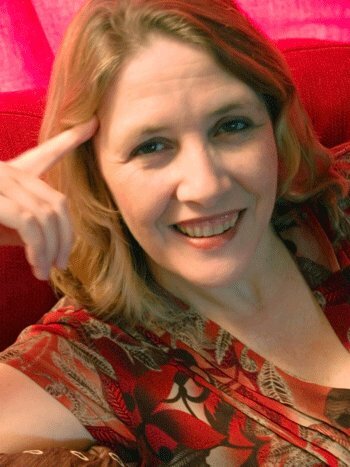 My website is www.carolynwatts.net. I am also on Facebook and Linkedin. That’s my favorite question of this interview. I love the Galveston Bookshop (http://galvestonbookshop.com/). In an earlier question, I noted that with one exception, I had little success with book signings at book stores. This is the exception. It’s a REAL book store and is very supportive of local authors whose books have a connection to the Galveston area. It has a funky, laid-back atmosphere and as I said, I love it. If you are in Galveston, don’t miss it. Oh, and by the way, because of their promotion of my book signing, I sold more than 100 copies (print and e-book) as the result of a two-hour signing. I completely agree with Larry. Located in the historic Strand District, it is cozy, charming and inviting. Surrounding shops, eateries and historic mansions make a trip to the Galveston Bookshop a must place to visit. The Missing Piece, Cheating Justice, The Park Place Rangers, the Tanner & Thibodaux series (Murder in Black & White, Rich Man, Dead Man, & Murder on the Seawall) and my latest, available in January, Dishonored and Forgotten. Dishonored and Forgotten is my first effort at co-authoring with my wife, Carolyn Ferrell Watts. 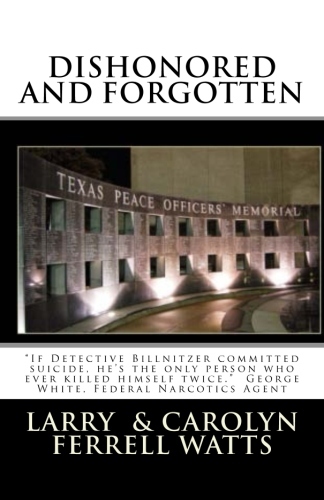 It is a fictional account of the first police narcotics scandal in Houston, Texas. A cop was killed, another went to prison as did a local medical doctor, and a police chief lost his job. It’s a story nearly forgotten in the annals of Houston’s history. In the book, Larry mentions that Marines won’t leave a fallen soldier behind. 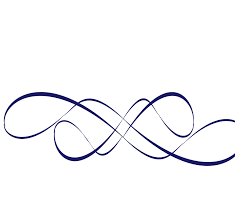 That translates for the blue line as supporting one another. But what is the nature of events that demand that loyalty? This is truly a mystery case for those Dishonored and Forgotten. In effect, wherever good books are sold. More specifically, Amazon, CreateSpace, Barnes & Noble, the Galveston Bookshop, and, of course, at my website or my wife’s. www.LarryWatts.net or www.CarolynWatts.net. Please give me one suggestion regarding my book you most recently read, that would have improved your reading enjoyment. Just one question with regard to marketing. Cozy, romantic books sell quite well. As a relationship counselor, I am curious about how much romance readers expect to enjoy a novel of this nature. So, readers, thoughts please, after digesting Dishonored and Forgotten. I am working on the last book in my series, Tanner &Thibodaux. I hope to have it available at mid-year 2017. In My Counselor’s Office, should be out early in 2017. Each chapter is a short story about children who have different reasons for visiting a counselor. 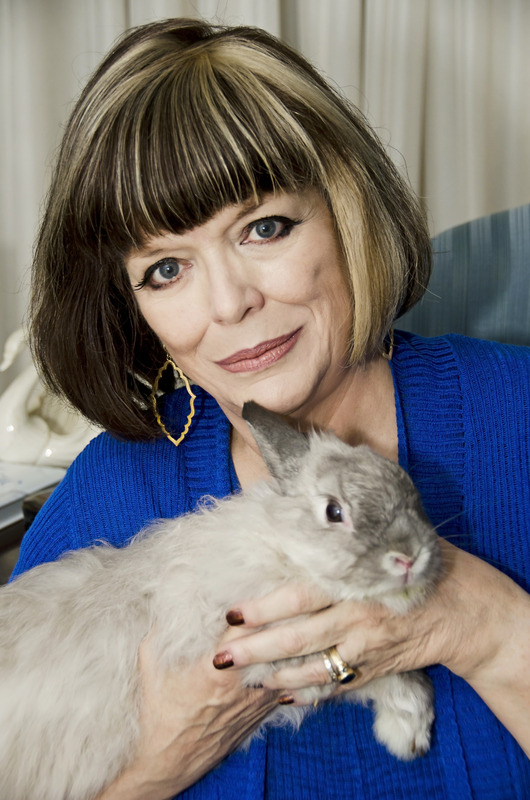 The sessions and therapies are observed and described by a macaw and a rabbit that make their home in the office. However, Larry and I are developing another controversial, action/political book that we are looking forward to authoring together. Just a little tease about that book. What if Texas really did secede from the United States? Please, leave a review and send me a personal message with any thoughts regarding our book. Stay tuned to our website blogs and let us hear from you. This joint effort at writing with Carolyn has been the most gratifying writing experience I’ve enjoyed. I look forward to more books with her in the future. I’ve heard Larry remark that he seems to recreate himself at times. I must admit, this time he managed to recreate both of us, with the writing of a fictional account of historic events and it’s been a pleasure! 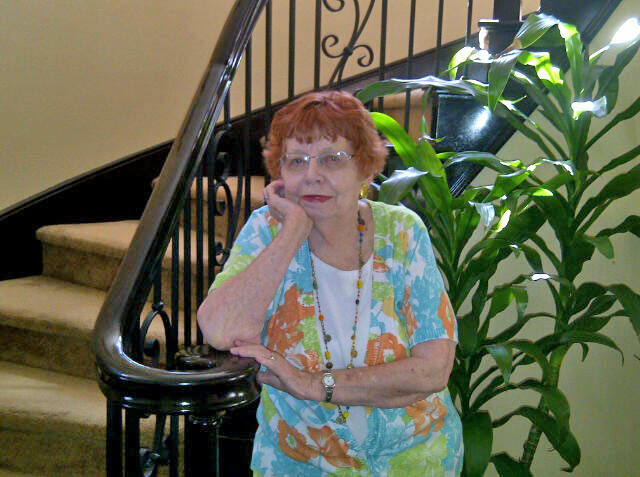 Kay Kendall is an award-winning author of two historical mysteries. 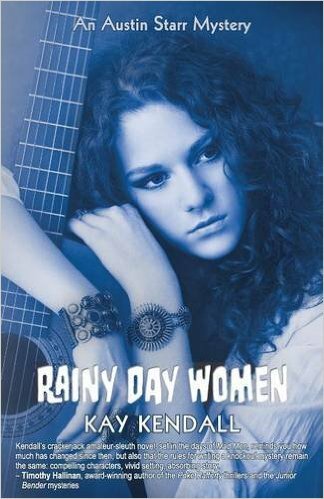 Her second book, RAINY DAY WOMEN (2015), won for best mystery and best book at Killer Nashville in August 2016. It is the second in her Austin Starr mystery series, published by Stairway Press. The first was DESOLATION ROW (2013). Blog URL: http://thestilettogang.blogspot.com/2016/09/let-good-times-roll.html < http://thestilettogang.blogspot.com/> I blog every third Wednesday of each month. I’m enormously curious. When I see a new review of my mysteries, I pounce on it and read immediately. I’m happy to report that mostly—say, 95 percent of the time—those reviews please me. And if a reader has left critical comments, then I get over it. My membership in a book club for fifteen years taught me how wildly opinions differ over even famous novels. Invariably, at least two people (out of twelve) disliked even award-winning books. That experience showed I should expect sour reviews at least every once in a while. Because I had a long-time career (25 years) in public relations, I enjoy promoting books—both my own and other authors as well. However, there is one task I loathe. I detest asking readers to leave a review online at one of the traditional places—like Amazon.com, bn.com, and Goodreads.com. Periodically I do manage to suggest on my Facebook pages that these short reviews really help authors. I don’t know why exactly, but I hate asking. Whenever someone emails me, comments on Facebook, or tweets that s/he loves my work, I always want to fire back, “S0, why not post a review online—even if only one sentence?” Somehow that embarrasses me, so I don’t do it. After my first mystery was published in 2013, I held a signing at an independent bookstore in Wichita, Kansas. That’s the big city near my small hometown. Many friends from the old days drove twenty-five miles to my event, which pleased and delighted me. While I was signing my books for people, a woman in line introduced herself. She said, “You don’t know me, but Pam ___ is my sister. She lives so far away, but she asked me to represent her today. I’ll surprise her at Christmastime with your debut mystery, and please sign it to her.” This experience touched me. Pam and I were friends in college. Before I joined Goodreads, I didn’t track the books I read. Now I do because Goodreads makes it so easy. While I don’t manage to write online reviews for every book I read, I do for quite a few. For example, if a friend publishes a book, I always leave a review. If someone is new and just getting started, I do also. And of course if someone writes an absolutely fabulous novel that I’m just wild about, I definitely write a review—and often give it a social media shout out. After all, I don’t want to be hypocritical. If I want readers to review my mysteries, then it behooves me to do the same for other writers’ books. About fifteen years ago I began writing fiction. Back then I had a few friends who believed in my dream and kept me going. Two were retired journalists who were good writers themselves. My husband was supportive, but it took him a while to understand fully how deep my dream of achieving publication would be. 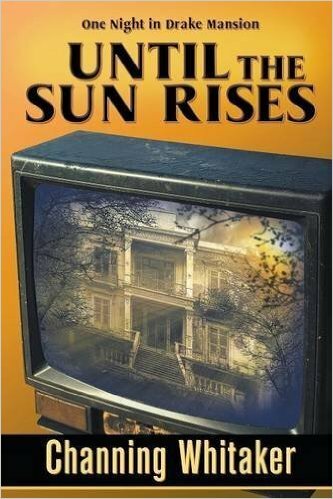 When my first novel (a literary novel) didn’t sell, I began to write mysteries. The first one sold and was published. Then other friends saw how serious I am about my new career and picked up the pace of their cheerleading. They’re happy that I am so happy. Also, two women friends—half my age and budding fiction writers—support me, and I support Cathy and Emily in turn. I know it is a hard, steep road to getting published these days, unless one self-publishes. But if you want a publisher to pay you, well then, that’s a tough proposition. Perhaps because everyone in it realizes this, the mystery writing community is very friendly and supportive, and that is one of the many joys of participating in it. I have made so many new friends at conferences—both other authors and fans too. I had no idea that the lonely life of an author would be graced with so much friendship and support. It is simply thrilling and heartwarming, and I believe in giving back to others for what I receive from them. I always loved reading—fiction in particular and especially mysteries, ever since I read my first Nancy Drew. I’m also besotted with history, so it’s a natural for me to be drawn to historical mysteries. In 2003 the first Maisie Dobbs mystery by Jacqueline Winspear was published. Set between the two world wars, it features a nurse who turns professional detective. This series captured my attention, and when I began writing my own historical mysteries, I took the Winspear books as inspiration. To date there are now twelve in Winspear’s series. I’m a native of Chicago, lived in Texas over 50 years, the single mother of four adopted wonderful people who have given me seven grandchildren. I am blessed that we are a close family, get together often. Graduate school at TCU and one special professor launched me into studying and writing about the literature of the American West. 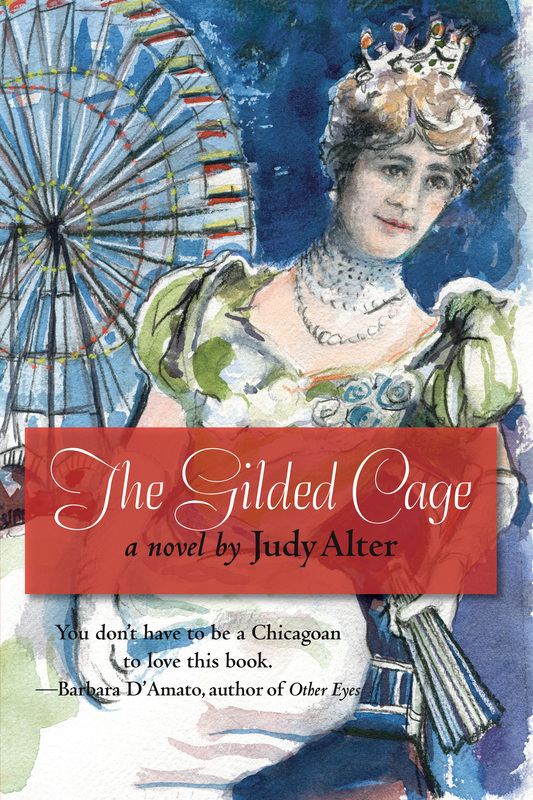 Eventually that interest morphed into fiction, first about women of the American West and more recently cozy mysteries, with a detour to Chicago to write about Bertha Honore Palmer, stories wife of hotelier Potter Palmer. I have close to a hundred books to my credit, along with some nice awards. Along the way I served as editor and then director of TCU Press for almost 30 years. It’s been a rich and full life. I used to be desperate to move to Santa Fe but today I wouldn’t move out of Fort Worth. I have a wonderful network of family and friends of all ages, enough of a career to keep me happy. I live in a great cottage on the back of my property while my youngest daughter and her husband and son live in the house. Because I am mobility impaired, they help with things I can’t do. And for 24-hour companionship, I have Sophie, a cross of a border collie and a miniature poodle. A chef. Cooking has been my avocation for years, and I developed a good reputation as a hostess. Occasionally I considered professional chef training at least part time but the older I got the more rigorous it sounded. These days in my tiny kitchen my cooking days may be behind me but I still collect recipes almost frantically. Being recently diagnosed as lactose-intolerant has also put a crimp in my cooking style. The decision just sort of happened. I began writing short stories at about the age of ten and wrote off and on after that. Work in medical public relations and academic publishing helped me to polish my skills until my muse felt free enough to take off in fiction. My first novel, After Pa Was Shot, was published in 1978. For almost fifty years Dr. Fred Erisman, Lorraine Shirley Emeritus Professor of American Literature at TCU, has encouraged me and helped me clarify my thoughts, though he dislikes the term mentor. My family are my cheerleaders, a loud, proud and enthusiastic bunch. My then-husband arranged a large surprise party—mostly with people who are no longer part of my life. Strange how things change. Probably being carried, in a wheelchair, down a steep flight of stairs, with a restaurant manager assuring me his staff is “very strong.” Then the largest man I’ve ever seen who was not bedridden sat down next to my daughter without a word of apology or inquiring as to her comfort. Her sister across the table had hysterical giggles and by the time we got home we were all ready for wine. I would hope voice and an ability to draw readers into the story. If you feel the need to write in your bones, don’t give up. Too many to tell. I am in awe of the accomplishments of the late Elmer Kelton, western writer, and the work of Wallace Stegner, whose Angle of Repose I particularly admire. Of contemporary mystery writers I respect the accomplishments of Deborah Crombie and Julia Spencer-Fleming. I think it’s a fallacy that there is one book that makes you educated or not. When I was working on my master’s, a faculty member was aghast that I had not read Dante’s Inferno. Well I still haven’t read it, all these years later, and I don’’t feel any the worse for it. Facebook; Twitter still confounds me. Wish we had a good independent bookseller, but alas no. What can I do to give you what you want to read? As long as I can remember, and that’s a long, long time. When I was about 10, I wrote a fairy tale and illustrated it. I sent if off to a publisher (with my mom’s help) and received my first rejection—a very nice one. At what point did you reach a place where you felt successful or satisfied as a writer? I’m not sure I’ve reached that point. The fact that I have two publishers who routinely accept my work is most satisfying—but I haven’t ever felt successful. Perhaps fulfilled is the better word, because I’m writing and others can read what I’ve written. Though writing was something I always did, I’m not sure I had any thoughts about what “the writing life” would be. I met many authors along the way who were “famous” like Mary Higgins Clark and Jan Burke and I never thought my life would be like theirs. For me, it’s sitting down in front of the computer and writing—but also spending a lot of time promoting too. I don’t know that I ever thought I’d have to spend so much time at the promotion part. This writer is not wealthy. In fact sometimes when I see the total on my royalties I have to laugh. By the time everyone get their cut, be it Amazon or Ingram, the bookstore, the publisher, my part is very small. Early on, so much focus is given to getting published. Since you’ve been published, how has your focus changed? I’ve been published since 1981. But that first book really didn’t open doors for me. The editor that signed me on, left the publishing house and I had to start all over. I got many, many rejections after that. This was back in the day of typewriters and carbon paper and mailing the whole manuscript off in a box with another self-addressed and stamped box inside so the manuscript could be returned. That first book was rejected close to 30 times. About every 5th time it came back, the pages would have coffee and food stains and smell like cigarette smoke. This meant I had to retype so I often rewrote too. I don’t remember the actual time period, but I moved from one town to another and received the acceptance letter at my new place of residence. With that first book I had no idea what I was supposed to do to promote it. I did set up one book signing which was successful, but that’s all. I got no guidance from the publisher about what I ought to be doing and I have no idea what happened at the publishing house’s end—if anything. Back in that time period there weren’t all the suggestions for promotions like there are now. So sure, I’d have at least set up some speaking engagements and other bookstores for signings. This is what’s going on with me at the moment. I have a new Deputy Tempe Crabtree mystery at the publisher’s right now. Usually that series comes out in the early fall, which means I’ll have edits to go over in a couple of months. I’m also writing a new one in that series. I try to work on it for at least two hours at least five days a week. I really can’t think of anything except I wish I had more readers. When someone comes up to me or writes on a blog that they love one of my series or a particular character, tat’s a most wonderful feeling. My Deputy Tempe Crabtree series has a lot of Native American mysticism in it and is set in a small mountain community in the Southern Sierra—a place where no other series I know of is set. It is very much like the place where I live though I’ve changed the name to Bear Creek. If money is your goal, you should probably do something else. If you truly want to be a published author, read the kind of books you want to write, attend writers’ conferences, read books on writing, but the two most important things are to write regularly and never give up. Probably being visible on the Internet though blog tours, my own blog, Facebook etc. Though I really enjoy giving presentations at writers’ conferences and libraries or anywhere else I’m invited. Making the contacts for personal appearances—I do not like to make phone calls. Willow Bridge Bookstore in Oakhurst, California has been very supportive—and I must mention Kris Neri’s Well Red Coyote Bookstore in Sedona AZ. I’ve given several presentations there. 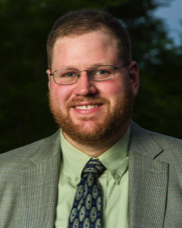 In John’s words, “When the Savings and Loan industry melted away like a lump of sugar in hot coffee, I knew it was time to develop a third career.” He became a freelance computer instructor, user-developer, consultant, writer and Community College instructor. Friendly and outgoing extrovert. However, check my next response. I’m basically a shy introvert. I’ve trained myself to be a trainer, a speaker and present myself as more extroverted. I believe that if I don’t feel a bit of anxiety before performing, I’ve lost interest in the subject. Most likely a vegetable – spell that couch potato binging on TV mysteries. Back in the day; somewhere in the 80s. I typed (on a real portable typewriter) the beginnings of a couple of stories/vignettes in the late 1980s. I became a serious writer in the mid-1990s. It took me into the -2000s to refer to myself as a writer; and then as a professional writer ― because I’ve been paid for my writing. And, the answer to your next question; do you make a living at writing – the answer is no. In the writing field, I like Janet Evanovich and Sue Grafton in the mystery field and for thrillers, I like Vince Flynn and Lee Child. I’ve had a number of mentors via critique groups, who gave unselfishly to help me improve as a writer. Friends, family and readers. I’ve received a good amount of positive support in the form of Amazon comments. I think that if a person is serious about writing, you need to: Read, read, read – in the genre you like to write and nonfiction books about writing. JOIN a critique group. I’ve learned as much or more from the groups I’ve worked with as any other approach. Yes, and I’m surprised what previously published authors get away with. Many would have trouble getting their manuscripts through the critique groups I’ve been associated with. Yes. I enjoy the positive ones and for those who do not like my writing I think; that’s why there are so many shelves in a bookstore and hope they find an author they like. The first sale was to “Good Old Days” magazine in September 1992. The check was for $40.00 USD; I puffed out my chest, strutted around, but with the size of the remuneration, there wasn’t a whole lot of celebrating. However, that money put me in the ranks of professional writers. Yes, but not all the time. I do have a favorite play list I put together from five movie albums. When I completed the list, I realized they all had a similar theme: perseverance. Here they are: Flight of the Intruder, Quigley Down Under, The Great Escape, The Longest Day and Monuments Men. While I consider writing a profession, I have fun and enjoy the act of writing, as well as meeting and speaking with readers and writers. I set up a book sales table at an outdoor festival in a small rural town in Arkansas. I asked a lady walking past my table if she liked mysteries. Her response was, “I don’t read books.” I mentioned that with holidays coming up, my book might make a decent present. Her response was, “I don’t give gifts.” I wished her a pleasant day and she kept walking. I smiled at her answers and went back to enjoying the warm summer day. 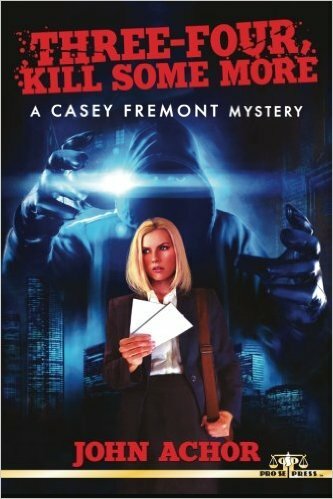 I believe my female protagonist, Casey Fremont, is representative of what many of us face in our lives today. She begins the series with her own self esteem in shambles. As the series progresses, Casey begins to regain a belief in herself and recognizes others in her life are of value as well. I do my best to leave Casey in a better place at the end of the book as opposed to where she was before the bodies began to fall. In some ways, she is a mirror of how I have gained my own insight over a life time. Never give up; keep writing and do everything to improve you manuscripts. I like Janet Evanovich and Sue Grafton in the mystery field and for thrillers, Vince Flynn and Lee Child are at the top of the field. Mysteries and thrillers top the list, however lately I’ve discovered any number of nonfiction books I enjoyed; The Elephant Whisperer is a top pick. It’s on my phone (Kindle) and it’s a Michael Connelly mystery featuring Harry Bosch. I use both and prefer Facebook. 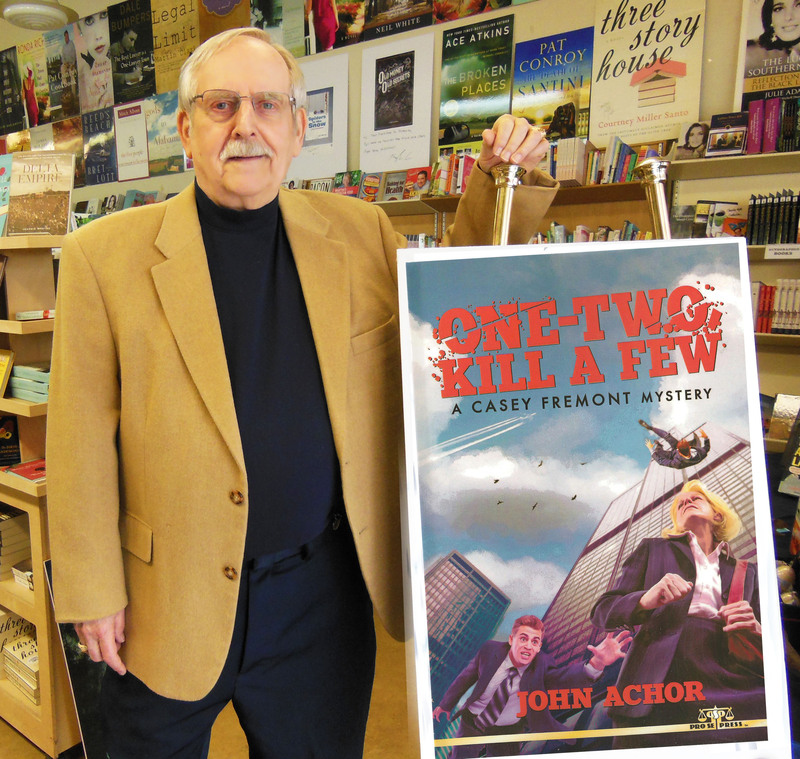 Google John Achor or Casey Fremont mysteries and you’ll more about me that you ever wanted to know. My web site (johnachor.com) has a lot about me and a search on Twitter or Facebook will pop up my pages. My wife and I have a giant soft spot for Indie bookstores. 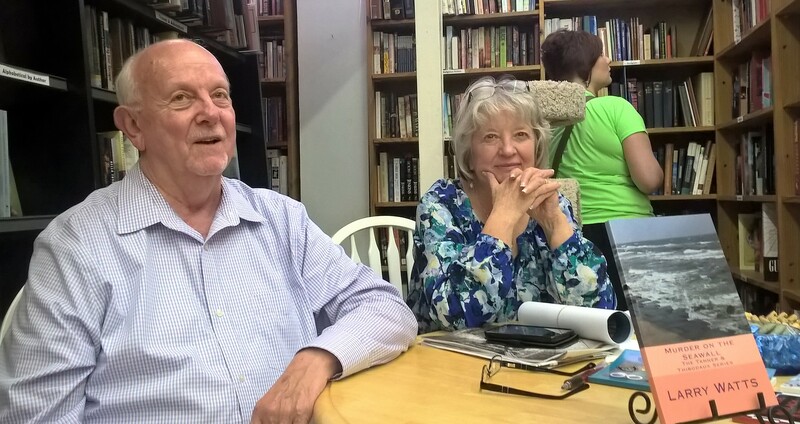 Living in Phoenix, we loved The Poisoned Pen mystery book store run by Barbara Peters ― we met a ton and a half of major mystery/thrillers authors at her store. Since relocating to Omaha, The Bookworm owned by Beth & Phil Black is a super resource to authors and readers. All are available in Trade Paperback, eBook and audio formats from your favorite online book sellers. If you run into me, I have a couple in my trunk. 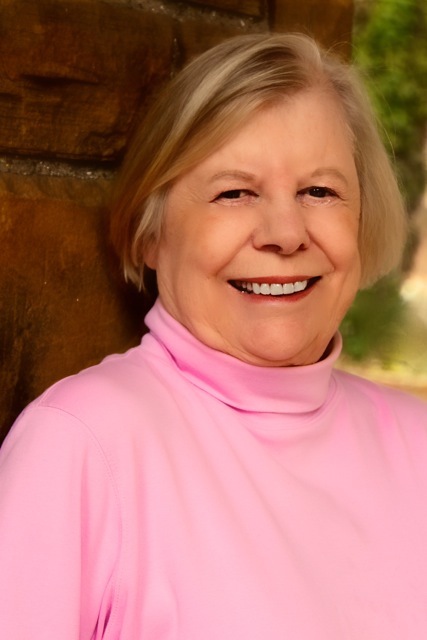 Kathryn J. Bain is an award-winning author of Christian, mystery, and suspense, including the Lincolnville Mystery series and KT Morgan short suspense series. Ms. Bain has garnered several awards, including two Heart of Excellence Readers’ Choice Awards and a First Place Royal Palm Literary Award for Inspirational Fiction. She lives in Jacksonville, Florida near her daughters and granddaughter. Kathryn has also been a paralegal for over twenty years and works for an attorney who specializes in elder law. I grew up in northern Idaho and moved to Florida over thirty years ago. I have an Associates of Arts Degree and am a Certified paralegal. I have worked for the Preddy Law Firm for almost 15 years now. I have two grown daughters and one granddaughter. One of my worst classes in school was English. I disliked it terribly. I still am gramatically challenged, so I hire editors to fix my comma errors. My two daughters give me a lot of support me with my writing. I also belong to two critique groups and several writers organizations. I also have several people in my church who cheer me on. I write reviews for books only if I like the book. I try my best to give no lower than a 3, but sometimes the book is so bad, I just can’t, so I won’t leave a review. I do because I like to know where I can improve. I write Edgy Christian which sets me apart from the sweet Christian authors. 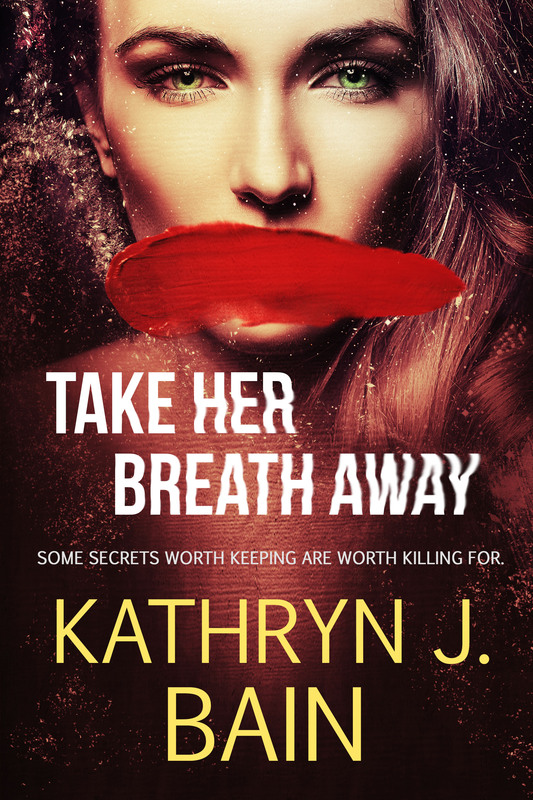 I deal with dark suspense like child trafficking (One Last Breath) and adultery (Take Her Breath Away). And my short suspense is edge- of-your-seat with a killer or two. I also try to make my Christians more realistic than most Christian writers. In Catch Your Breath, the mother of my heroine is a mean Christian woman. She is very pious, as some Christians are. Keep writing. That’s the most important thing you can do. Getting out and meeting readers at book festivals and signings. The more you can connect with readers, the better chance you have of getting your books read. Social Media. I’m technologically challenged, so I’m not good at getting out on FB, Twitter, etc. I love suspense more than anything. Every once in a while I’ll read something else, but it’s rare. I prefer non-Christian because the suspense in Christian writing is usually minimal. Hank Phillippi Ryan’s What You See. Love so many, but Dean Koontz is one of my favorites. I also like CJ Box. I try to read 2-3 books a month. I don’t have a “must read” book. I just think it’s important for everyone to read. Schools frustrate me when they limit their reading lists. I think that’s part of the reason so many kids quit reading – because they’re made to read things they don’t enjoy. I have a website, www.kathrynjbain.com where you can sign up for my Christian newsletter and find out how to get my first KT Morgan Short Suspense, The Visitor, for free. I’m also on Facebook, LinkedIn, and Google+ under Kathryn J. Bain. You can also find me on Twitter @kjbain. And I have an author page on Amazon. I just finished Reunion that is the third in my KT Morgan Short Suspense Series which will be released December 9, 2016 and am currently working on a Bible Study titled Holding the Hand of a King set to come out in 2017 if I ever get the thing finished.